190 pages | 23 B/W Illus. The availability of molecular imaging and measurement systems enables today’s biologists to swiftly monitor thousands of genes involved in a host of diseases, a critical factor in specialized drug development. Systems Biology and Bioinformatics: A Computational Approach provides students with a comprehensive collection of the computational methods used in what is being coined the digital era of biology. Written by field experts with proven track records, this authoritative textbook first provides an introduction to systems biology and its impact on biology and medicine. The book then reviews the basic principles of molecular and cell biology using a system-oriented approach, with a brief description of the high-throughput biological experiments that produce databases. The text includes techniques to discover genes, perform nucleotide and amino acid sequence matching, and estimate static gene dynamic pathways. The book also explains how to use system-oriented models to predict the behavior of biological systems for important applications such as rational drug design. 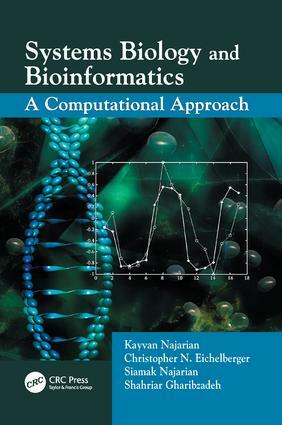 The numerous examples and problem sets allow students to confidently explore practical systems biology applications using real examples with real biological data, making Systems Biology and Bioinformatics: A Computational Approach an ideal text for senior undergraduate and first-year graduate students. Why t Test Is Not Enough?